Find the Magic of Giving Back! Since 2006, Macy’s Shop For A Cause Event has partnered with non-profit organizations nationwide to raise more than $50 million for their ongoing charitable efforts. This is your chance to be part of this monumental weekend long event. 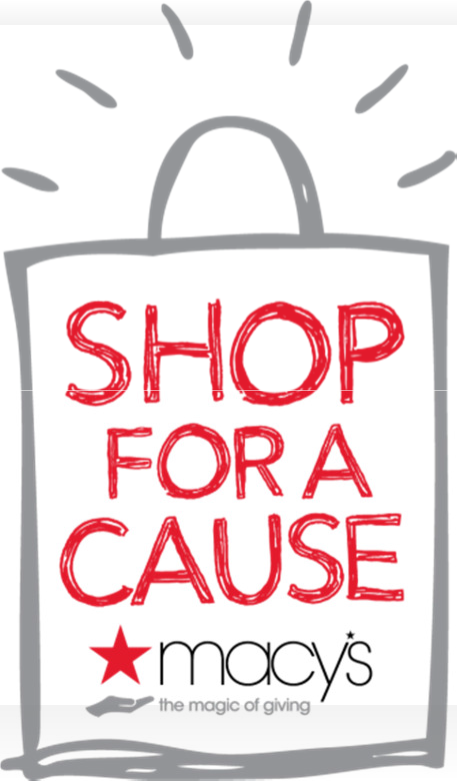 Shop For A Cause gives you the opportunity to give back to your community and to help our organization. Purchase a $5 Shopping Pass* for exclusive savings in every Macy’s store on Friday, August 26 – Sunday, August 28, and we keep 100% of the proceeds, plus you can enter to win a $500 Macy’s Gift Card. Find the magic of giving back, as Macy’s celebrates a national day of support for our community.